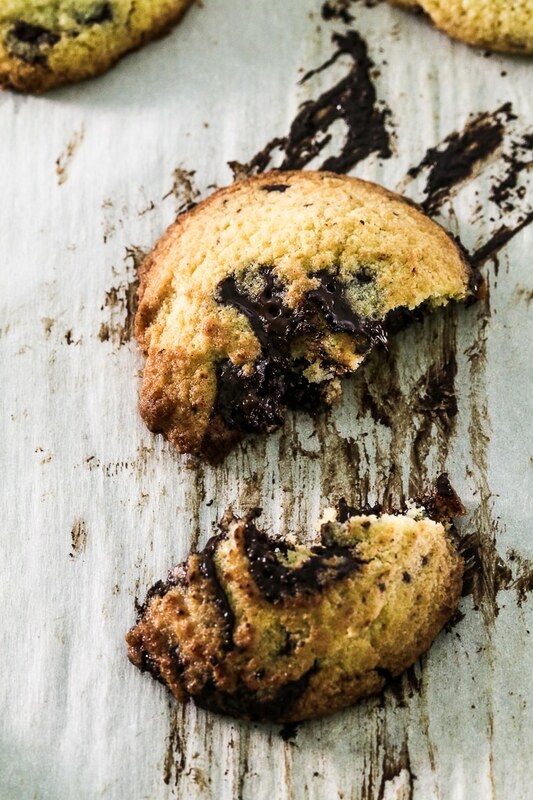 Gluten-Free Chocolate Chunk Cookies -- made with less sugar! 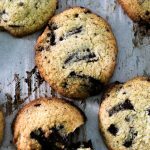 If you need an all around good & tasty & easy & yummy & crowd-pleasing cookie recipe, these Less Sugar Gluten-Free Chocolate Chunk Cookies are it! 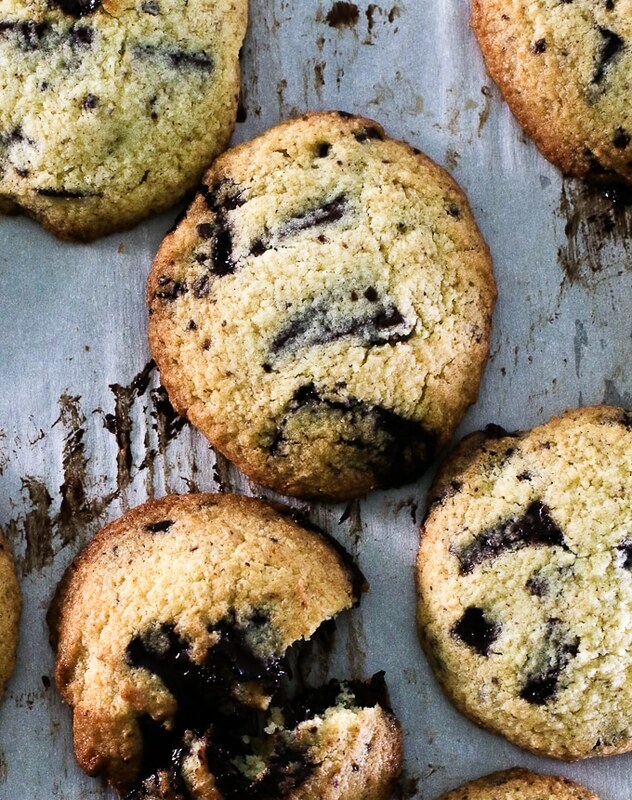 They’re absolutely as close to perfect as a cookie can be. They should be. I tested them FIVE TIMES to get them like I wanted them. My taste testers were none too sad about this fact, though. Five batches worth of chocolate cookies is hard to be mad about. I wish I could claim to be the originator of the recipe, but that title goes to my friend Gretchen from kumquat. 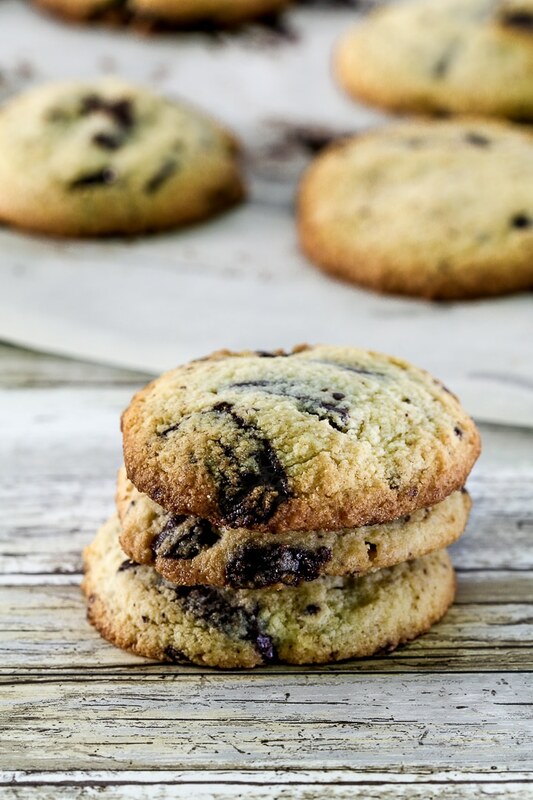 While I’ve taken great liberties with her original Grain-Free Dark Chocolate-Potato Chip Cookies — like omitting the potato chips and subbing in some Swerve for some of the sugar — much of the basic dough portion of these cookies is her brilliance. Beat softened butter with an electric mixer at medium speed until fluffy. Add sugar and Swerve; beat until creamy. Add eggs and vanilla; beat until mixture is combined. Combine almond flour, arrowroot, whey powder, baking powder, and salt in a medium bowl. Add almond flour mixture to butter mixture and beat until just combined. Gently stir in chocolate chunks. Drop dough by heaping tablespoonfuls onto a baking sheet lined with parchment paper; press down slightly to flatten. Bake at 350° for 12-13 minutes or until edges are just golden. Let cool slightly.